To launch their new line of professional series radios, Motorola turned to Brainforest. 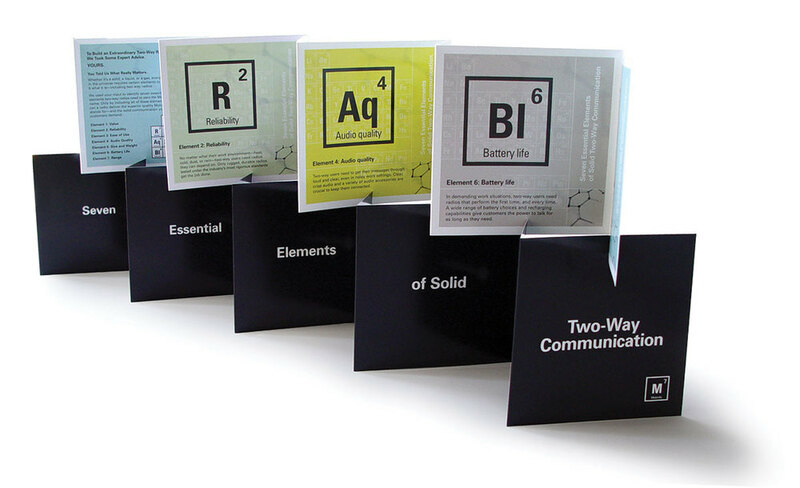 We started by crafting a new strategic platform: the seven essential elements of effective radio communication (or M7 for short). From there, we developed the M7 logo, visual identity and complete launch kit designed to engage Motorola dealers as well as their end-users. 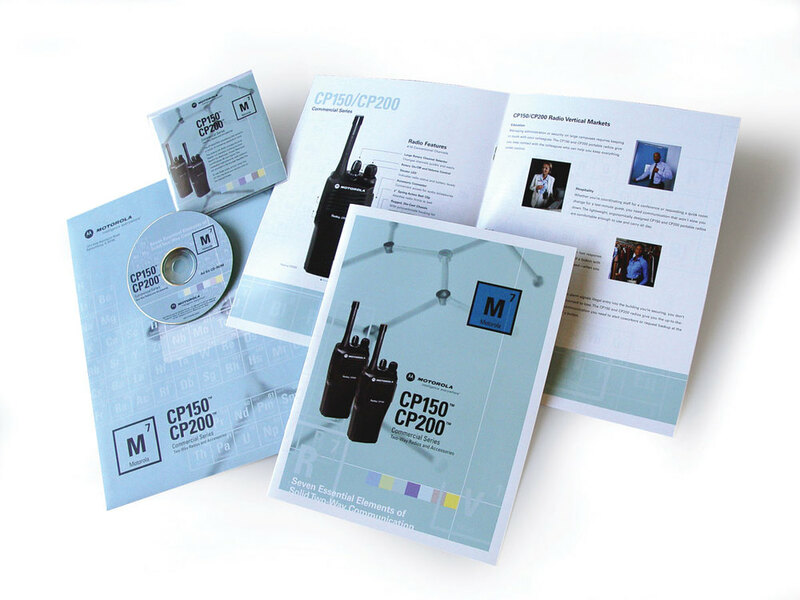 Motorola was in pre-launch mode on two upgraded product lines: a professional series two-way radio and two-tone voice pager, and they needed a compelling strategic positioning and materials to make a big statement to Motorola dealers as well as end-users. Brainforest worked with the client to craft an overall umbrella strategy which targeted small-to-medium size communities and positioned the new products as tools for those who make these communities secure and growing. Titled Community Link, the launch campaign included multiple brochures, an extensive image library, dealer ads, POS and interactive sales materials.